Naysayers Are Everywhere, How Do You Deal With Them? - Motivate Amaze Be GREAT: The Motivation and Inspiration for Self-Improvement you need! Home Motivation Naysayers Are Everywhere, How Do You Deal With Them? 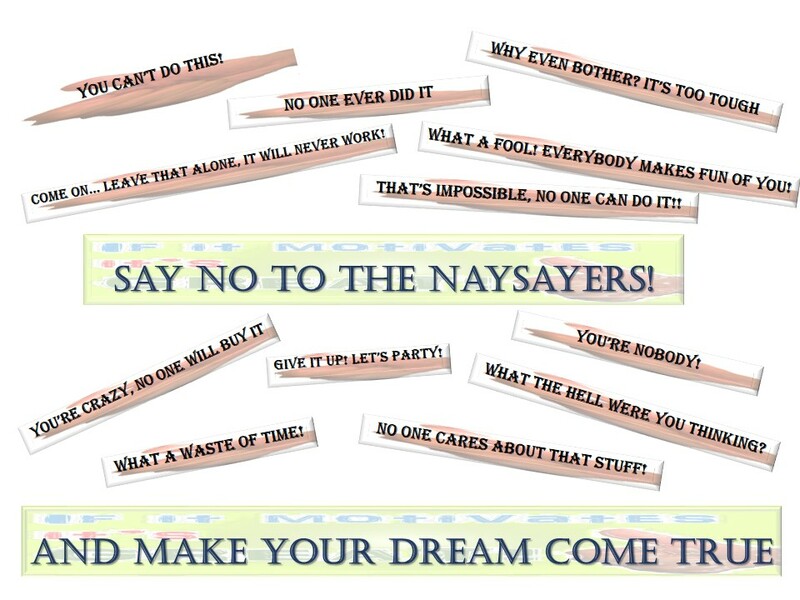 Naysayers Are Everywhere, How Do You Deal With Them? Naysayers just gonna nay say! Why listen? If you already know what their opinion is. Sometimes people are very negative, and they got to say no to everything. Mainly because their life isn't what it was supposed to be, they get scared to see somebody else doing what they won't do! It happens to all of us, are you a naysayer? Are you determined to achieve your goal? Think about this, if it's your goal, it's your project, you have the unique vision to see it and believe in it, more than someone else! So, naysayers usually don't see what you see, so they'll express an opinion from an ignorant point a view about the subject. Makes sense? Most people get stuck be naysayers opinions, the ones who don't are more likely to conquer that goal that everyone said it was impossible. Don't confuse naysayers with advisers, naysayers destroy your dream, advisers help you with constructive views.